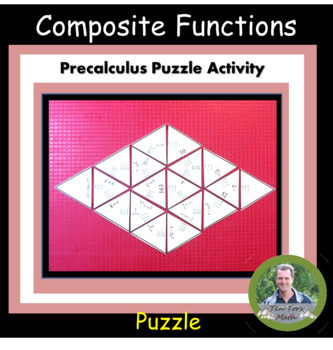 This precalculus composite functions activity is designed for students to practice solving and deriving composite functions. 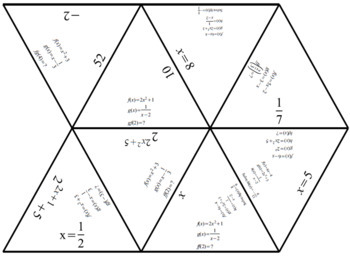 .Students will need to be able to evaluate and derive composite functions expressions. 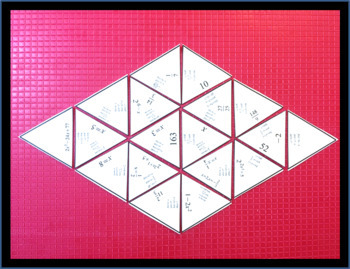 Students cut out the shapes in the printout and put them together by matching questions and answers on corresponding sides to create the shape in the given solution. 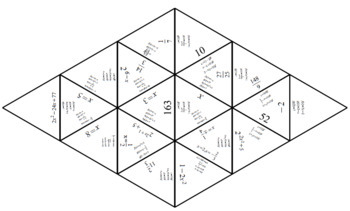 There are 21 composition of functions questions to match with their corresponding answers on the puzzle pieces.